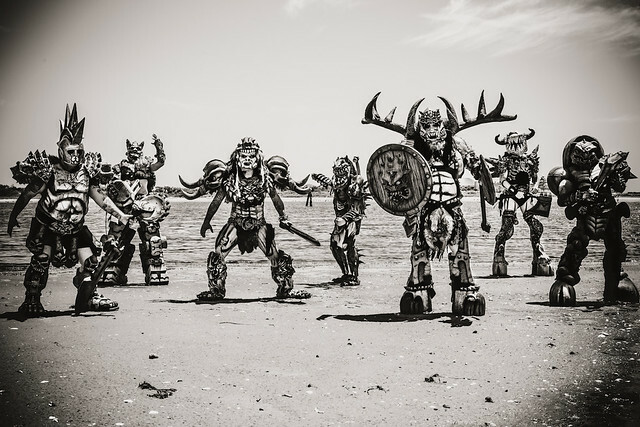 Gwar released Blood of Gods, the band’s 14th studio album, in 2017 via Metal Blade Records. New lead singer Blöthar the Berserker leads the metal thrashers from Richmond, Virginia, in their bloody, interactive show at 9:30 Club. In a review for Loudwire, Joe Divita welcomed the latest incarnation of Gwar. “So, what do we love about GWAR anyway? Well, there’s always been a playful dynamic to their diverse musical palette. There’s always been grin-inducing social commentary delivered in an overtly crass yet somehow poignant manner, while other times entering realms of absolute absurdity. There’s always been a punk-meets-metal enthusiasm with a few outside styles creeping their way into GWAR’s deranged Frankenstein songwriting approach. There’s always been a cast of support characters roped into new storylines, adding an even broader scope to the vocal element of the band, which already featured a handful of different sounds courtesy of Oderus. The Blood of Gods checks each one of these boxes,” Joe wrote.